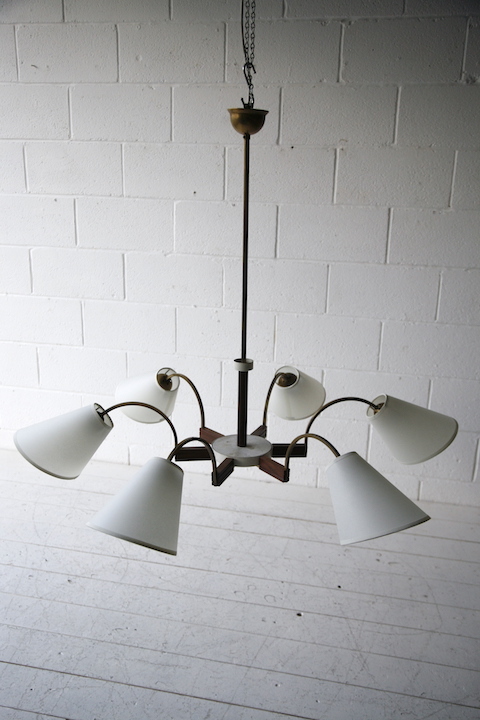 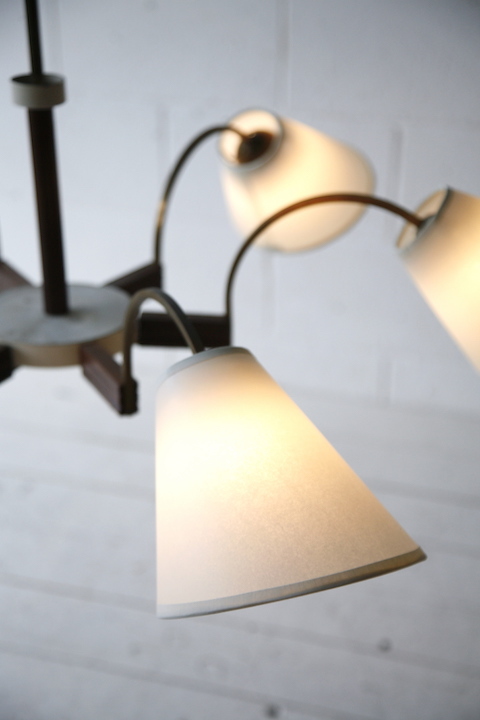 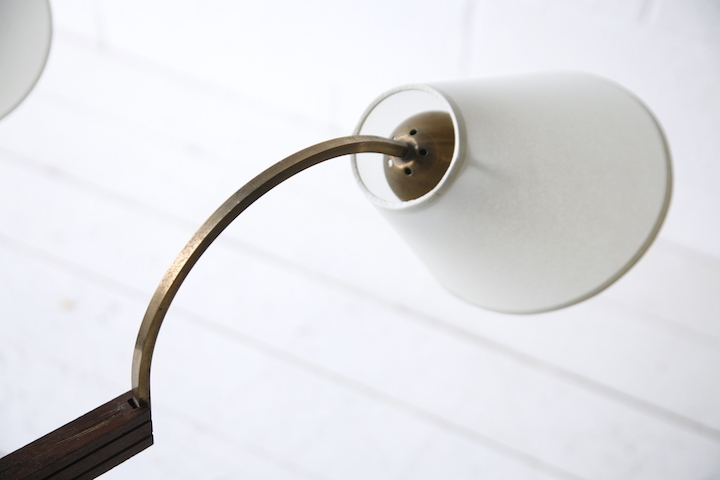 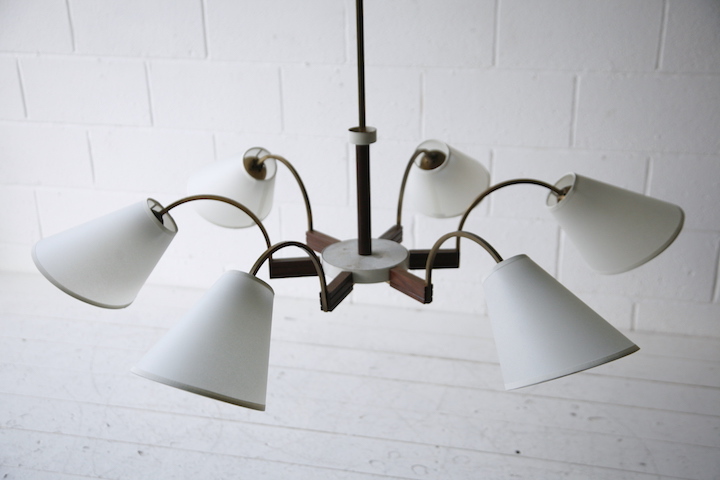 A large 1950s French ceiling light. 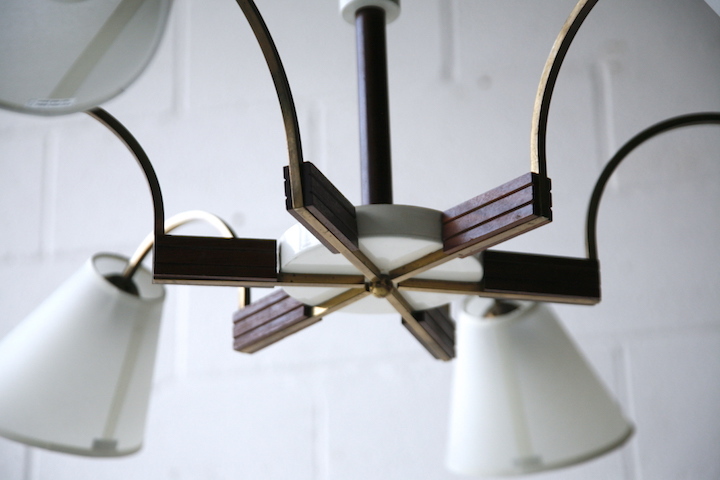 With 6 brass arms, teak and brass fittings and new bespoke shades. 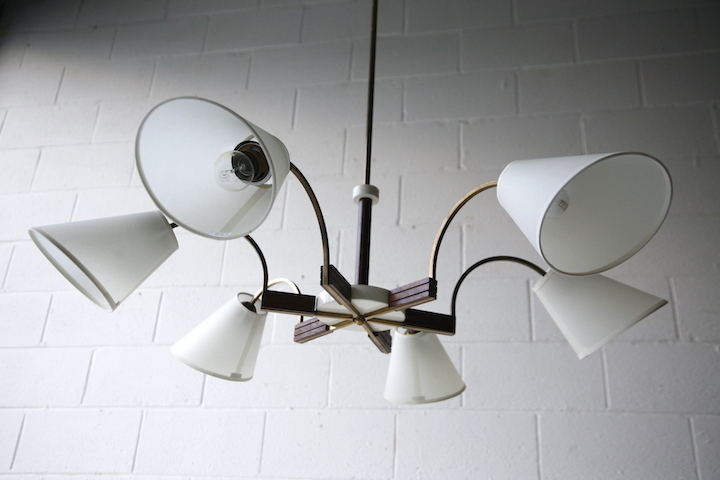 Fully working and in very good vintage condition.